This Lab is capable of analyzing all types of geological rocks (igneous, sedimentary, and metamorphic rocks), as well as water, biological and chemical samples. 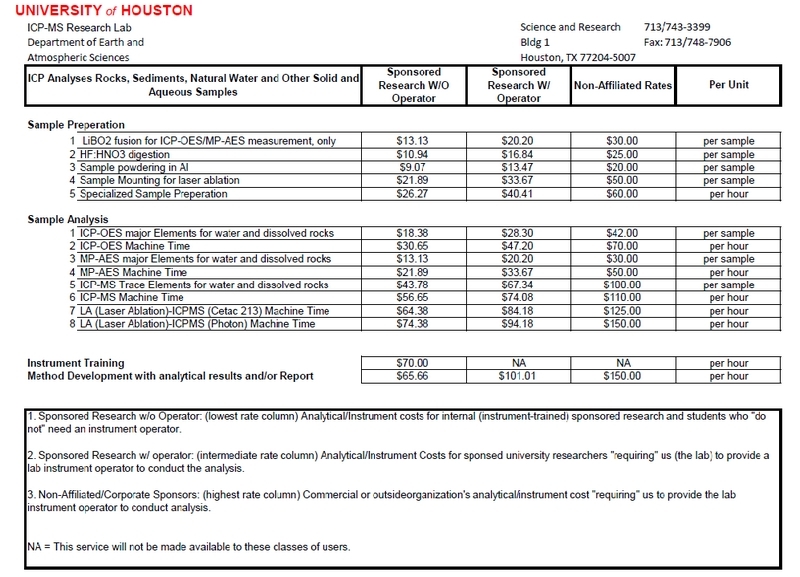 This ICP-MS Lab has provided key support to users from various departments within the University of Houston and other institutions within the Great Houston Area for scientific researchs (UH PI users and External PI Users since 2010 are listed). This is a non-profit-center, we only charge to recover our costs (labor, materials & supplies, equipment maintenance and upkeep, etc.). 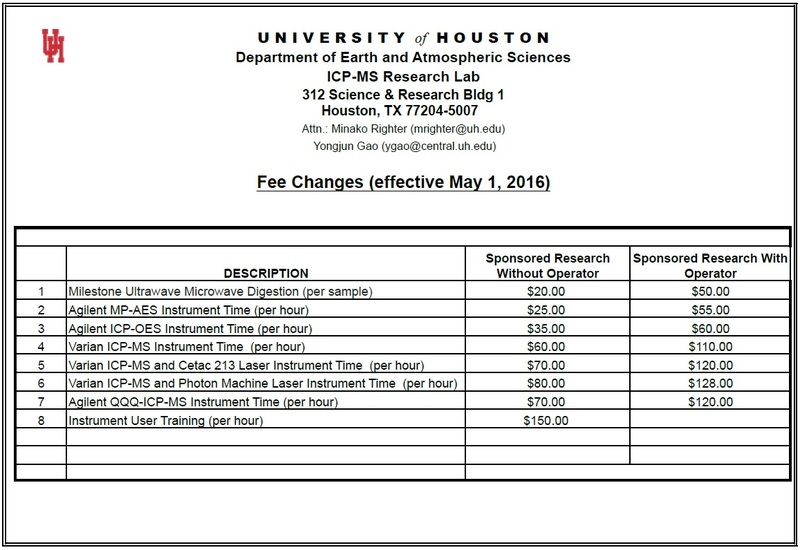 The following schedule shows estimated fees. Additional discounts may be given for large numbers of samples or in-house sample preparation. Fees are subject to change at any time. Rush orders or analysis involving additional sample/standard preparation and/or specialized method development, may require additional charges. Please consult Dr. Yongjun Gao before officially quoting any prices. Please refer to "Applications" Page for details of all kinds of analytical serives that are currently offered in this Lab and also for guidelines to submit samples. © Copyright 2014 University of Houston. All Rights Reserved.